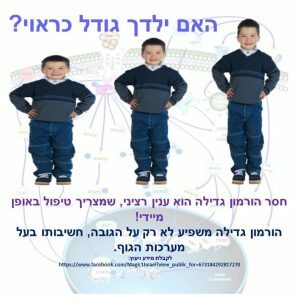 MAGIC-Israel is a support group for parents of children with a variety of medical conditions which have affected their physical growth. MAGIC is based in the United States and our group, MAGIC-Israel is a part of their international division. There are no fees for parents. If your child currently has a diagnosis, look on the side of this page for medical information and additional links. You are also welcome to join our private Facebook group for parents of diagnosed children. If you are trying to determine if your child has growth failure, click HERE for helpful information.